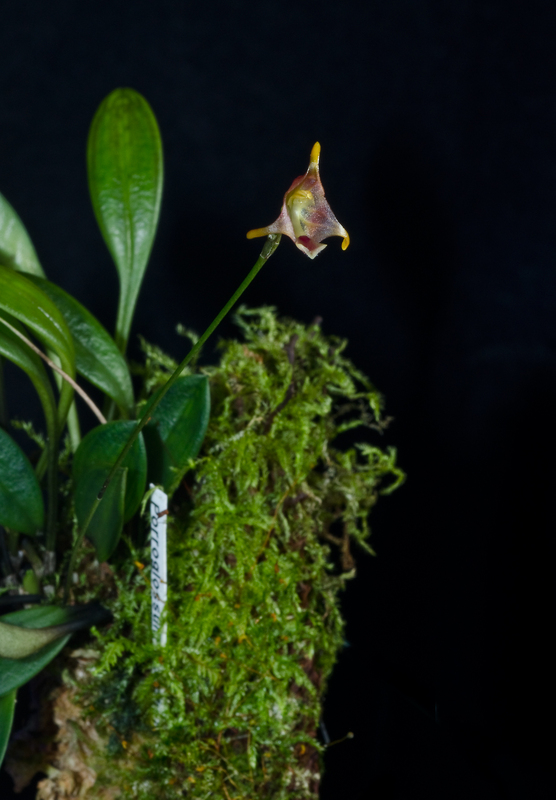 Porroglossum porphyreum, G.Merino, A.Douccette & Pupulin 2010. 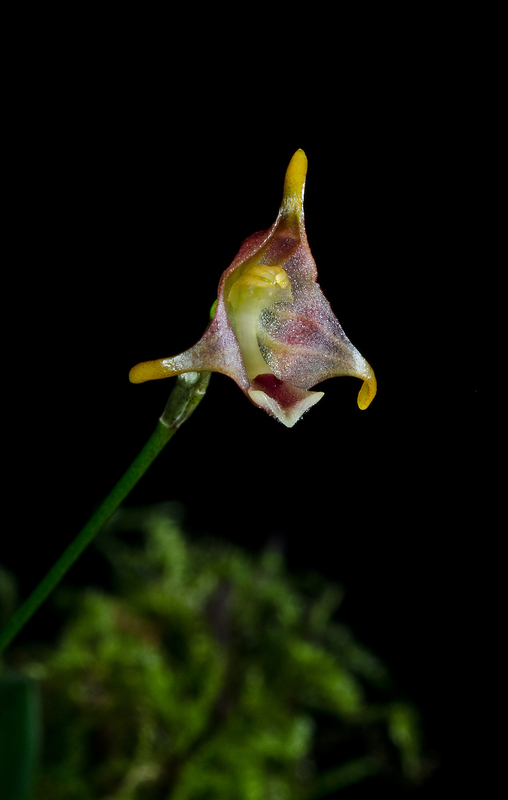 En new Porroglossumspecies that grows in Ecuador. It was collected in Morona-Santiago: El Aguacate, at 1600 meters by Jinsop Medina 1992. Cultivated and flowered at Ecuagenera. P porphyreum grows shady on mosscovered branches. In it´s natural habit it flowers from May – July. But cultivated plants can flower anytime of the year. My plant flowered the first time in 2012 (Got it in 2012). It started to flower in July. 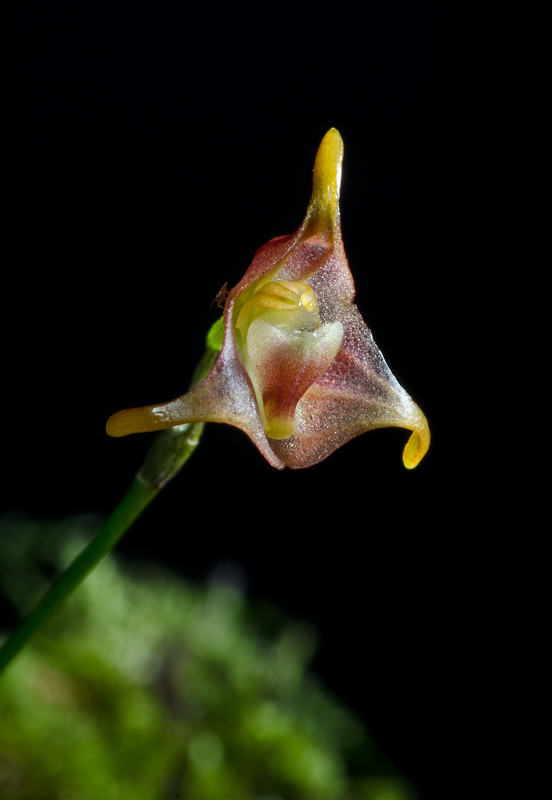 I find this Porroglossum species to be one of the easier in the genera. 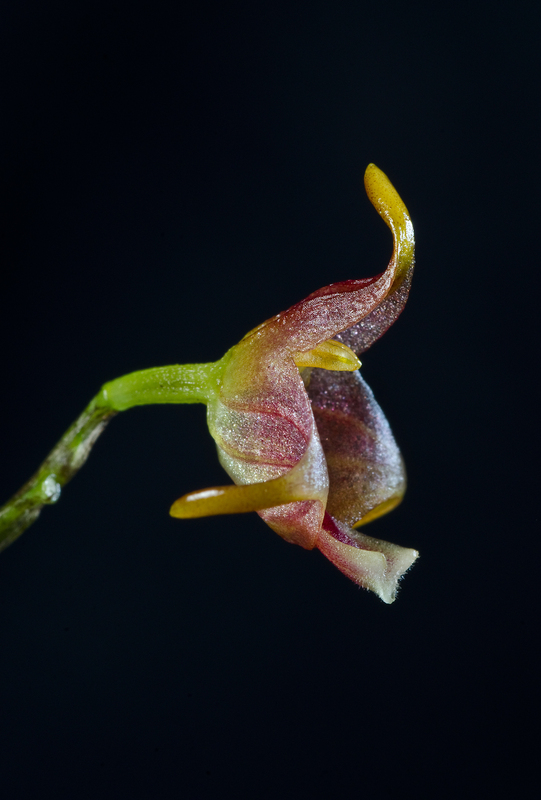 It´s easy to get to flower compared to other species within the genera. In my vivaria the temperatures in summertime are: +15°C to +24°C. Lot´s of air-movement and lots of humidity. A normal winter I have +11°C to + 19°C.